"Smile of the White dune"
Choose yacht type: single hull sailing yacht, sailing catamaran (twin-hull sailing yacht), motor yacht (motorised yacht without sails) or a motor boat (open motorised speedboat). Please specify your cruise date. For a cruise of several days, specify the start (departure) date. So that all your guests feel comfortable during the cruise, plan the number of passengers to be no more than 70%-80% of the recommended maximum number of persons specified in the yacht’s description. Choose the cruise start time - the time when you want to step on board the yacht. 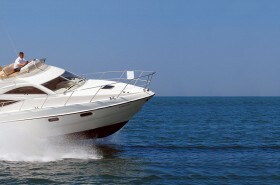 To properly enjoy your yacht cruise, we recommend allocating at least 4-5 hours. 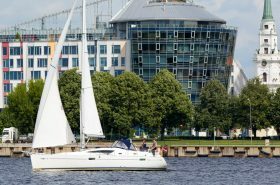 Choose a route Sightseeing at the Port of Riga Cruise to the Daugava Estuary Lielupe Estuary Cruise Riga - Jurmala A Yacht Cruise to Ruhnu island Riga - Engure Cruise To the "Positivus" Festival "The Smile of the White Dune"
Planning a yacht cruise, you can choose the most convenient jetty where to board the yacht and start your cruise. Planning your yacht cruise, you can choose the most convenient jetty where to alight from the yacht. When taking cruises lasting two or more days with overnight accommodation planned on the yacht, choose the number of cabins you need on the yacht. There are usually two beds per cabin. Be first to know fresh news and best deals from us! 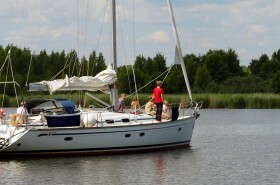 A cruise on a sailing yacht to the popular Positivus music festival in Salacgriva. Can you head to the “Positivus” festival on a sailing yacht on which you can stay overnight? Of course you can! Not surprisingly, as more and more people discover this, a yacht cruise to “Positivus” is becoming an increasingly popular way of travelling to the festival. Such is the demand that every year on the third weekend in July, several sailing yachts head to Salacgriva or Kuivizi with happy companies of festival goers on board. The 2017 “Positivus” Festival in Salacgriva will take place from Friday, July 14th to Sunday, July 16th. The main festival programme will take place on July 15th and 16th. We set off from Riga or Jurmala either very late on Thursday or early on Friday morning. After cruising for several hours, we reach our destination of either Salacgriva or Kuivizi early on Friday morning or later that afternoon. 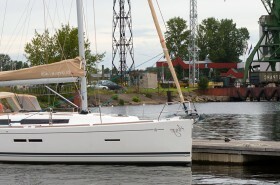 We remain moored there until Sunday lunchtime or evening when we head back to Riga. Late on Sunday or evening or early on Monday morning, we arrive back in the capital. The distance of the cruise in one direction is 45-50 nautical miles. In terms of sailing time, you have to reckon with a cruise lasting from seven to ten hours at sea. This depends on the chosen port destination, wind conditions and the state of the sea.  How Big a Company Can Head to “Positivus” on a Sailing Yacht? The number of passengers and berths depends on the chosen yacht. There are usually 2-4 cabins on a yacht and thus 4-8 beds. Another 2-4 people can sleep in the yacht’s main saloon. 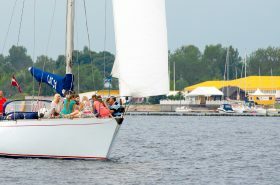 More people can take part in the cruise itself and use other accommodation options such as “Kapteiņu Osta” (“The Captains’ Port”) in Kuivizi. The precise number is dependent on the chosen yacht and can range from six to 20 people. Why drive by car when you can sail by yacht? And why sleep in a tent, maybe even in the rain and mud, when you can enjoy a comfortable night’s sleep on a sailing yacht with a WC, shower and warm water, where you can also make and eat a delicious breakfast? 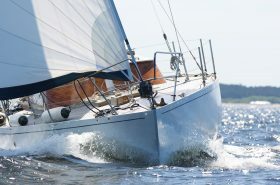 It could well be that sleeping in a tent in the mud is an integral element of the festival’s charm, but those who have enjoyed the pleasure of cruising to the festival on a sailing yacht are the first to admit that it would hard for them to contemplate travelling to “Positivus” in any other way. The use of the amenities offered by the yacht: shower, toilet, kitchen, dishes and cutlery are available in accordance with the captain’s instructions. A shower and toilet are available free of charge at the Salacgriva Yacht Club. A sauna is also available in Salacgriva for a separate charge provided that you book it well in advance. 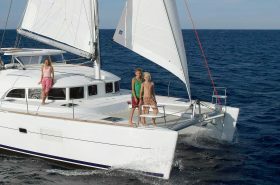 Book a yacht, using the reservation form; firstly check out in the FAQ section or contact us! 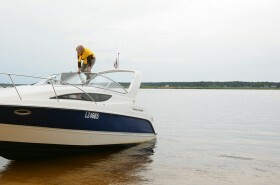 Great value boat tours along the Lielupe and Gulf of Riga coast.